Really, you couldn't pick a worse day for single-tracking on the Red Line through Dupont Circle. You've got "Soccer in the Circle" Saturday afternoon and Capital Pride Saturday evening, but before either of those, you've got a cracked rail near the Dupont Circle Metro Station. 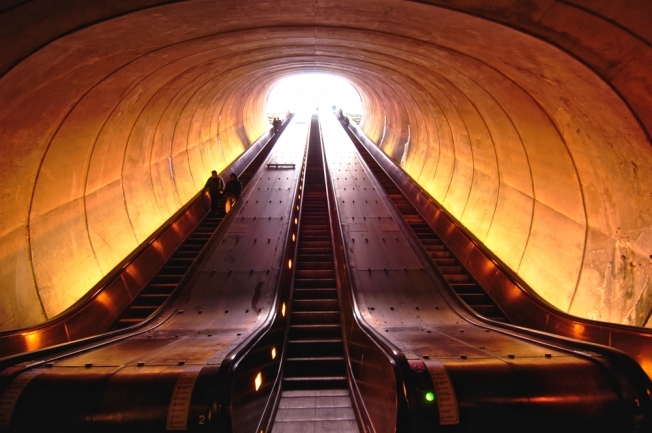 Red Line trains are single-tracking between Van Ness-UDC and Dupont Circle. Repairs are being made, but it's unknown when they will be complete. Fortunately, delays of only 5 to 10 minutes have been reported.